The David Eccles School of Business at the University of Utah today announced the establishment of the Marriner S. Eccles Institute for Economics and Quantitative Analysis with the support of a $10 million gift from the George S. and Dolores Doré Eccles Foundation and the Marriner S. Eccles Foundation. The Charles Koch Foundation matched the gift with a $10 million donation for a combined gift of $20 million. 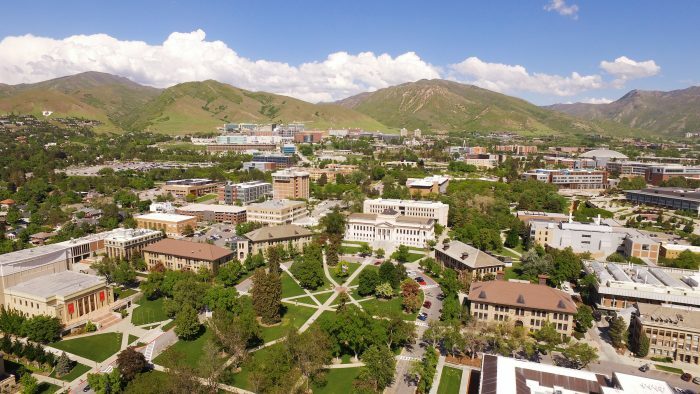 “We are proud to partner with these foundations to create a world-class economics institute at the David Eccles School of Business,” said University of Utah President David W. Pershing. “It will enhance and complement the university’s existing program in economics, expanding areas of faculty expertise and interdisciplinary opportunities and — most importantly — engaging our students in a balance of practical and theoretical learning opportunities. 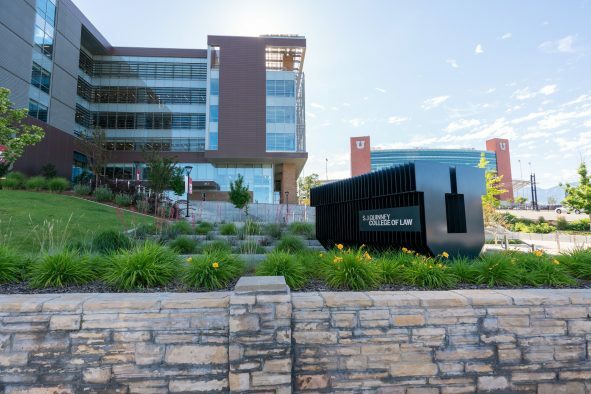 “This partnership with the Eccles and the Charles Koch Foundation will not only enable the University and the David Eccles School of Business to advance knowledge in economics, but also to enhance the depth and breadth of opportunities for Utah’s students to become outstanding economists and leaders for the future,” Pershing said. The mission of the institute is to push the frontiers of knowledge through academic research and provide U students access to high-quality education in economics, game theory, econometric and quantitative analysis. Its generous funding will enable the university not only to recruit seven leading economists as academic faculty, but also to support innovative research and provide $1.6 million in student scholarships. Its focus will include the development of students’ quantitative skills, which are widely seen as critical for success in today’s data-driven job market. 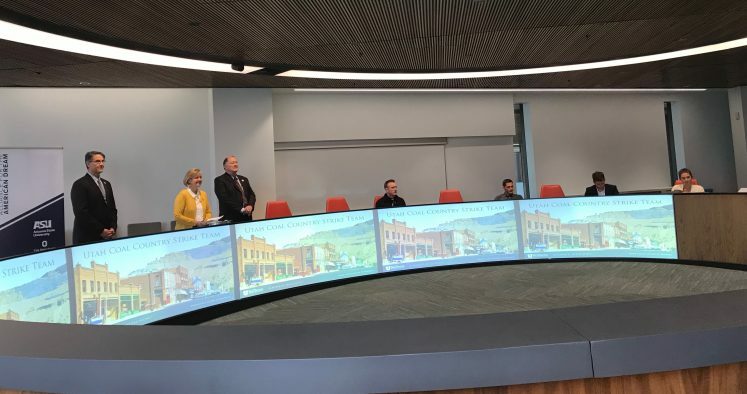 In doing so, it promises to open career opportunities for Utah students in an ever-expanding array of areas from banking and private equity to technology and academia. Marriner S. Eccles Institute for Economics and Quantitative Analysis will support innovative research and education in economics and related fields. In honoring the legacy of Marriner S. Eccles — banker, businessman, entrepreneur and national economic leader — the new institute bears the name of an individual who stands historically among the most respected and admired citizens of the State of Utah and the nation. 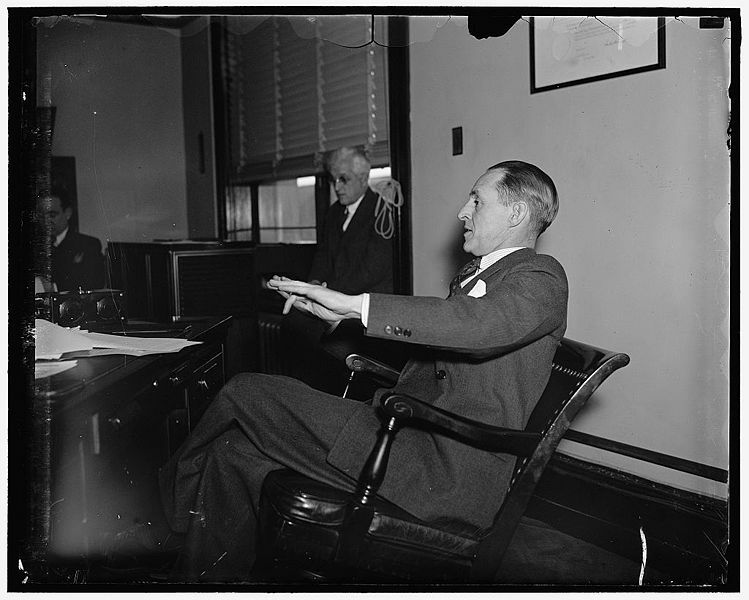 As chairman of the Federal Reserve from 1934 to 1948, Marriner S. Eccles’ role as a close advisor to U.S. Presidents Franklin D. Roosevelt and Harry S. Truman place him among a handful of individuals who have most influenced the business and economic life of this nation. His contributions to the strength of the U.S. economy and his role furthering the free market system continue to be widely recognized both nationally and internationally. Born in 1890 in Logan, Utah, Marriner S. Eccles was the eldest son of pioneering Utah industrialist David Eccles, namesake of the university’s business school. He led the creation of First Security Corporation, the nation’s first multi-state operating bank holding company, and his deft handling of its finances through the 1929 stock market crash brought him to the attention of President Franklin D. Roosevelt, who tapped him to steward the nation’s financial resources through the Great Depression. In doing so, he rose to prominence as the “Father of the modern Federal Reserve,” crafting U.S. monetary policy and keystones of the nation’s financial systems, including the Banking Act of 1935, that remain today. These include not only a reformed Federal Reserve System, but also the creation of the Federal Deposit Insurance Corporation, the Federal Housing Act and the 1951 Treasury-Fed Accord, which assured the Federal Reserve’s independence. Today, the Federal Reserve Board Building in Washington, D.C., bears the name of Marriner S. Eccles and prominently displays in the foyer a statue in his honor. 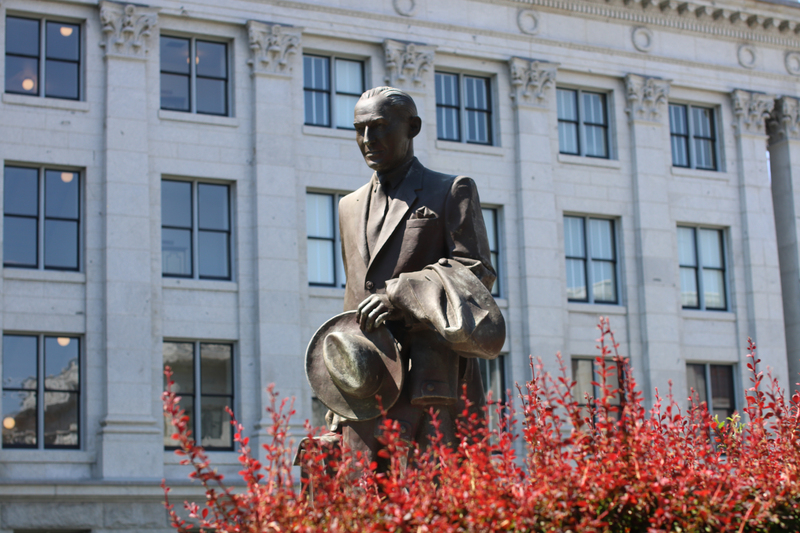 He is also one of just four Utahns recognized by a statue on the Utah State Capitol’s North Plaza. The Marriner S. Eccles Institute for Economics and Quantitative Analysis builds on the academic distinction of the David Eccles School of Business both locally and nationally. The school’s remarkable growth in visibility, ranking and impact has been highlighted most recently by the establishment of its Lassonde Entrepreneur Institute, Kem C. Gardner Policy Institute and innovative new Business Scholars Program. In conjunction with the creation of the institute, the university will offer a new undergraduate academic major at the David Eccles School of Business, to be launched in fall semester 2017. Students in the Quantitative Analysis of Markets and Organizations major will pursue degrees that provide them with innovative courses focused on econometric and data analysis, game theory and wide-ranging economic thought. Directing the new institute will be Adam Meirowitz, Kem C. Gardner Professor of Finance at the David Eccles School of Business, who has played a key role in crafting the newly created major with fellow faculty members Scott Schaefer and Luis Rayo. ”With economic analysis now applied widely to address problems in both the public and private realms, the new Eccles Institute not only will contribute significantly to these fields through its research, but also will enable the University of Utah and the Eccles School to develop talented economics graduates who will make positive, real-world impacts,” Meirowitz said. For more information about the Marriner S. Eccles Institute for Economics and Quantitative Analysis at the University of Utah, visit Marriner.Eccles.Utah.edu. For more than three decades, the generosity of several Eccles family foundations has made a resounding impact on the excellence of the University of Utah’s David Eccles School of Business. The gift from the George S. and Dolores Doré Eccles Foundation and Marriner S. Eccles Foundation in support of the new Marriner S. Eccles Institute for Economics and Quantitative Analysis continues a remarkable tradition of philanthropy that has directed nearly $50 million to enhance business education at the U. This includes grants from these two foundations, established by two of the sons of David Eccles, as well as the Emma Eccles Jones Foundation, established by one of his daughters, which awarded a major grant in 1991 that was recognized by the naming of the school in honor of her father. Eccles family foundation gifts have supported the school’s building projects, student scholarships, endowed chairs for faculty and innovative initiatives enhancing the school’s curricula. As one of the largest, most generous and longstanding charitable organizations in Utah, the George S. and Dolores Doré Eccles Foundation has contributed more than $550 million to “enrich the quality of life enjoyed by the people of Utah,” addressing statewide needs and opportunities in five areas: community/social services; education; arts and culture; health care; and preservation/conservation. Established by its namesakes in 1958, it became fully active in 1982 following the death of George S. Eccles. Today, the foundation continues to further the philanthropic interests of its founders through a broad grant-making program that assists a multitude of nonprofits, large and small alike, in every corner of the state. For more information, visit www.gsecclesfoundation.org. 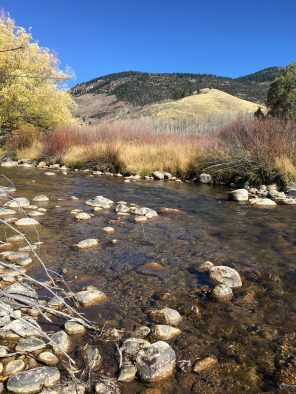 Established in 1973, the Marriner S. Eccles Foundation awards grants to numerous non-profit organizations in Utah, focusing its charitable funding primarily in the following areas: higher education; health and medical programs; arts; and community and social services. Charles G. Koch has supported research and educational programs focused on improving human well-being, especially for the least fortunate, for more than 50 years. The Charles Koch Foundation has continued this mission since its founding in 1980 by supporting scholars and students in their study of free societies and the ideas, institutions and values that maximize well-being. The foundation supports more than 300 universities and colleges across the country and provides students with resources to further their educational opportunities and career development. For more information, visit www.charleskochfoundation.org.